American Corners Macedonia - the NEWS: NEW! Visit the web-page of the American Corner Macedonia! NEW! Visit the web-page of the American Corner Macedonia! 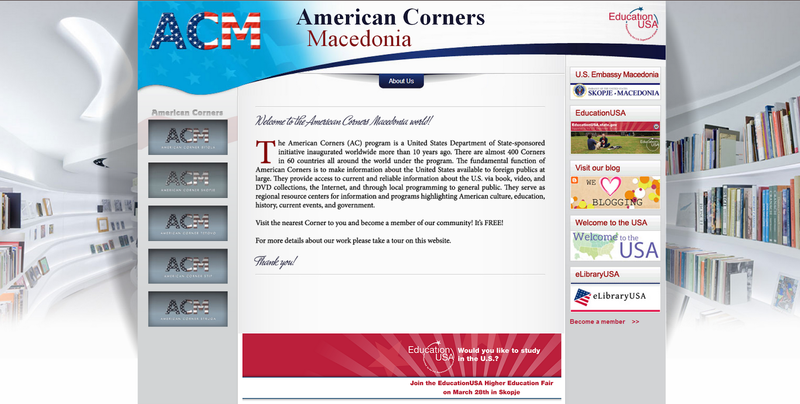 American Corners Macedonia invite you to visit the new web-page where we display all information and updates related to the Corners! There are hundreds of best and fantastic trekking tour operators in Nepal, offer you to choose many popular trekking destinations in high Himalayas as, Everest Base Camp Trek, Everest Chola Pass Gokyo Lake trek, Everest Gokyo Renjo la Pass Trek, Annapurna Base Camp Trek, Annapurna Circuit Thorong La Pass Trek , Upper Mustang Trek,Annapurna Nar –Phu Hidden Valley Trek, Manaslu Circuit trek Kanchenjunga Base Camp Trek, Manaslu Circuit via Tsum Valley Trek, Langtang Valley Trek, Gosaikund Helambu Trek, Kathmandu Valley Circuit Trek and untouched tourist destinations of Ganesh Himal Camping Trek, Tawal Earthquake Area Camping Trek, Upper Dolpa Trek, Makalu Base Camp Trek and much more… as you desirable. Your blog is nice. I believe this will surely help the readers who are really in need of this vital piece of information. I am really enjoyed a lot when reading your well-written posts. It shows like you spend more effort and time to write this blog. I have saved it for my future reference. Keep it up the good work.